The key role of triglycerides as a trigger for heart disease and mutations of the gene APOC3 that decrease coronary heart disease risk by 40% were recently observed in a study that may lead to new treatments for heart diseases. 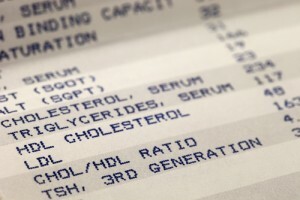 Co-authored by a scientist at the University of Texas Health Science Center in Houston, the research published in The New England Journal of Medicine aimed to asses the role of rare genetic variants through DNA sequencing in order to understand which genes would affect both triglyceride levels — which is stored in fat cells — and disease risk. The study was co-authored by Dr. Eric Boerwinkle of the UT Health Science Center, Dr. Sekar Kathiresan of the Massachusetts General Hospital, and Dr. Alex Reiner of the Fred Hutchinson Cancer Research Center and the University of Washington. The group of researchers scoured the DNA of thousands of patients and were able to understand that high levels of triglycerides play a bigger role than previously thought as a trigger for heart disease, in opposition to low high-density lipoprotein (HDL), another type of fat in the blood. “HDL and triglycerides are both correlated with heart attack, and have an inverse relationship with one another — the lower the HDL, the higher the triglycerides. It has long been presumed that low HDL is the causal factor in heart disease, and triglycerides are along for the ride. But our genetic data indicate that the true causal factor may not be HDL after all, but triglycerides,” explained Kathiresan. Drugs that prevent coronary artery disease, such as statins, usually target low-density lipoproteins (LDL cholesterol), since the relationship between the so-called “bad cholesterol” and the disease is well known. However, the role of HDL and triglycerides in heart disease was not clearly established. 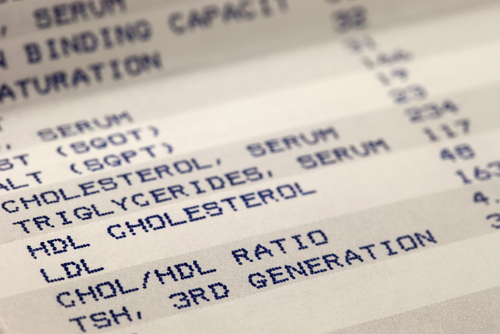 Previous studies had already revealed that both are predictive of heart failure, but it hasn’t been studied if the rates would be altered by changing the levels of HDL or triglycerides. “The combination of our genetic results, together with recent clinical trials of drugs that raised HDL levels but failed to prevent heart disease, are turning decades of conventional wisdom on its head,” added Kathiresan. The researchers analyzed over 110,000 patient samples, and sequenced exomes in nearly 4,000 people, searching for genetic variants associated with blood triglyceride levels. The team identified four distinct mutations, all within the gene APOC3, connected to lower blood triglycerides. Produced by the liver and pores, the APOC3 protein is thought to prevent the removal of triglyceride-rich lipoproteins in several ways. Scientists also found a 40% lower risk of coronary heart disease, which led to the conclusion that APOC3 inhibition properties may present a new potential strategy for therapeutic development. The project was conducted as part of the National Heart, Lung, and Blood Institute’s Grand Opportunity Exome Sequencing Project (ESP), which aims to discover novel genes underlying major heart, lung, and blood disorders. through exome sequencing.